Mitsubishi Delica For sale UK Registered direct from Japan by Algys Autos Ltd, THE Best Value in the UK. FACT. Your search for the best quality and prices starts and ends here! All available via our unique ‘Import Scheme’. Mitsubishi Delica For Sale in the UK Via Algys Autos. The Mitsubishi Delica is a range of pickup trucks and vans built by Mitsubishi since 1968. It was originally based on a small pickup truck introduced the previous year, also called the Delica, its name a contraction of the English language phrase Delivery car. This truck, and a commercial van derived from it has received many names in export markets, being sold as the L300 (later L400) in Europe, Jamaica (discontinued after the third generation) and New Zealand, Express and Starwagon in Australia, and plain Mitsubishi Van and Wagon in the US. 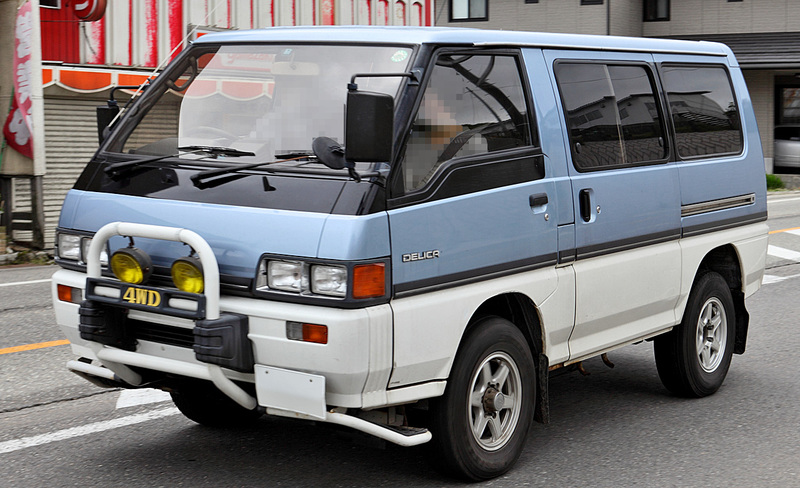 The passenger car versions were known as Delica Star Wagon from 1979 until the 1994 introduction of the Delica Space Gear, which became simply Space Gear in Europe at least. The most recent version (not available as a commercial vehicle) is called the Delica D:5. With the exception of the fourth generation, all five generations are still sold in various international markets. See the ‘Stock’ link above Mitsubishi Delica for sale that will be supplied to the customer fully UK registered. We do not update the web-list so often as quite literally the stocks change daily as we are the major Importer and Supplier for Japan used cars for over 20 years and our prices are pre-trade prices! So please send us an email and ask about stock for our Mitsubishi Delica for sale supplied fully UK registered. That’s simple, Algys Autos import fresh Mitsubishi Delica stock direct from our Japan garages NOT from very inferior UK auctions or from Mitsubishi Delica circulating for sale within the UK. Most UK traders buy the Delica from the used UK market, generally these cars are tired and have been subjected to the cruel and harsh winter roads and conditions. Ask to see the Japanese auction sheet and proof they imported it from Japan…..if they can’t or won’t provide it, turn around, walk away and come to the experts. Contact us via email and ask for our stock list of cars arriving weekly into the UK, we always have Mitsubishi Delica For Sale and for the UK at any given time!! Compare our Mitsubishi Delica prices and you will recognise that Algys Autos is, without doubt, the best ‘Value for Money’ in the UK, You will note that the prices offered ‘Import Scheme’. The Import Scheme was a brain-child of Algys Autos over 20 years ago and many have tried to copy it with little success. The other traders even refer to the idea as the ‘Import Scheme’ (conveniently dropping the ‘Algys Autos’ of course). 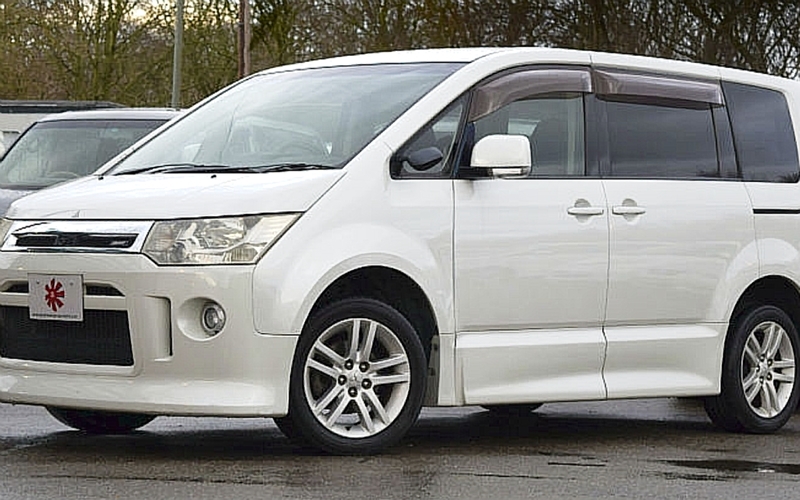 The Import Scheme is where Algys Autos allows you to bring the selected Mitsubushi Delica or any other vehicle, into the UK as a ‘Private Importation’ and thus saves £1000’s. 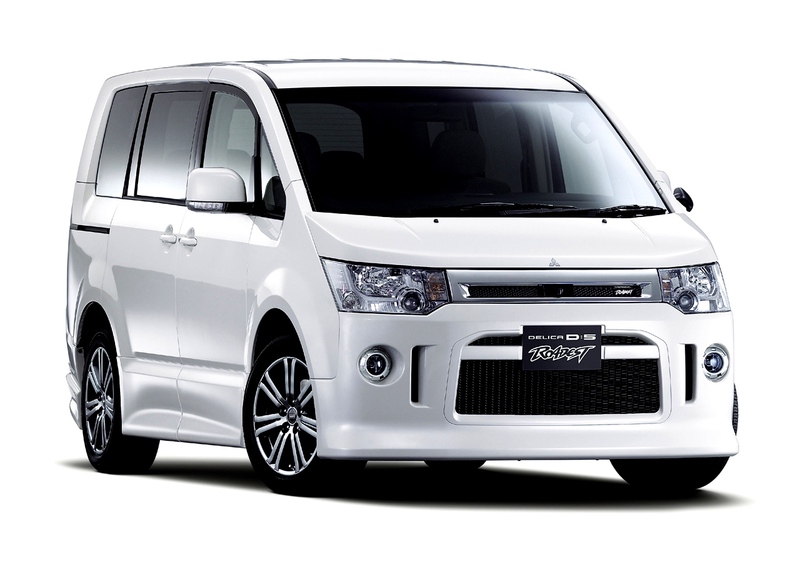 We buy any Mitsubishi Delica model to your detailed requirements under this scheme via our Garages in Japan. We are the UK premiere importer and supplier and represent over 600 garages in Japan! Our UK garage at Bristol offer full facilities and your car can be delivered to your door via transporter. For full details click the link ‘Import Scheme’ You can also see on the following page recently Sold examples of Mazda Bongo and Ford Freda purchased on our Import Scheme. These prices represent un-surpassable quality and value for money. Algys Autos Ltd are suppliers of all models to the trade, you too now have the opportunity to purchase at Japan trade prices! We consistently offer the very best value for money in the UK! 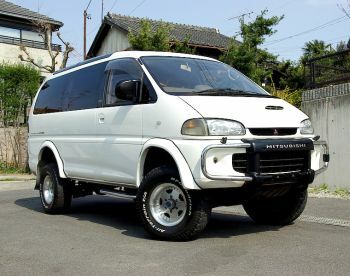 Mitsubishi Delica For Sale. Algys Autos always have All models and years Mitsubushi Delica available for sale Via our Unique Import Scheme within the supply chain either just into Japan stock, en route via Vessel or putting into UK port. To be honest it is incredibly difficult to keep the website daily current as stock literally changes constantly, here however are a few examples of those within the system. it is my no means comprehensive as we have about 20 available in the Japan system at anyone time. If you wany advance notification of Mitsubishi Delica a sthey become available send us an email for a no obligation list and be put on the daily email list. Grade 4 with parking ding on driver door. Wide arches and raised up suspension. Front fog lights. Alloy wheels with caps and very good tires. Chrome mirrors. Privacy glass. Dealer option rear spoiler. After market muffler. Half leather seats. Leather steering wheel. Rear camera. Auto step. Remote entry (x2). Original floor mats. ABS. Climate control. Dual airbags. Alloy full roof carrier.71.000 miles with timing belt changed. Silver colour. Grade 4 clean car. One owner car! Wide wheel arches and ‘lift-up’ suspension. Front fog lights. Alloy wheels with caps and very good winter tires. Privacy glass. Half leather seats. Dealer option rear spoiler. Chrome mirrors. JAOS mudflaps. Power mirrors OK. 2/4WD option with diff. lock. Rear fog light. Leather steering wheel. Auto step. Remote entry. Dual airbags. ABS. Climate control. Original floor mats. 72.000 miles Metallic gunmetal grey colour. £SOLD OTR UK Reg Via Import Scheme! 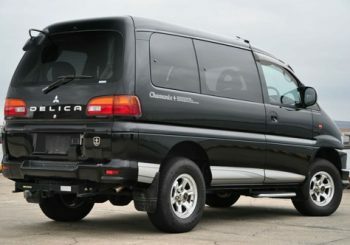 Oct 2006 saw Mitsubishi Japan introduce an all new Mitsubishi Delica – The Mitsubishi Delica D5. The D5 started to emerge onto the Japan market from early 2007 in a 2400cc petrol engine as 2 or 4 wheel drive and several variants. The chassis frame was CV5W but had a Rodest, Premium G Power and Navi variants. The D5 Rodest looked different to the other Delica D5 range with a much flatter front end and lower spoiler. Engine sizes varied over the following years from 2007 to date with 2000cc, 2200cc and 2400cc units. There was also of course a Delica D3 and Delica D2 in 1200cc and 1600cc engines. The D4 2400cc engine was phased out in 2013. 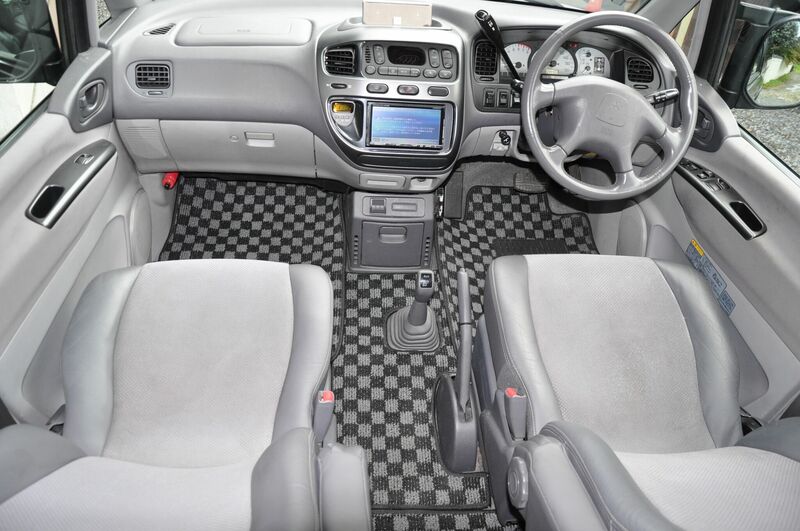 A clean example of a Mitsubishi Delica D5 that has been offered for sale fully UK registered from a Main Dealership in Japan Via Algys Autos, this is a 4 wheel Drive with paddle shift gear box and multi-function steering wheel and the 2400cc engine. 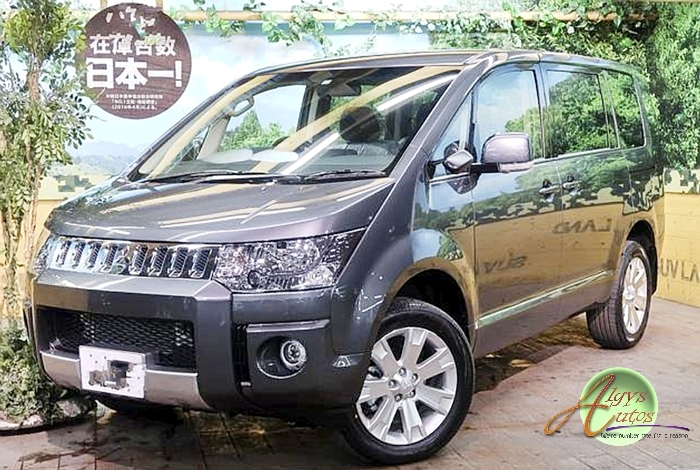 In January 2013 Mitsubishi introduced the Delica D5 with a 2200cc Diesel engine installed. This was, and remains, one of the only Japanese MPV vehicles fitted with a diesel engine post 2002, all other MPV vehicles originating from the Japanse domestic market post 2002 are with petrol or petrol hybrid engines. Algys Autos can of course supply you any model Delica D5 that you require including the Delica D5 Diesel Engine model. Simply contact us for details from this email link: Email from Here. 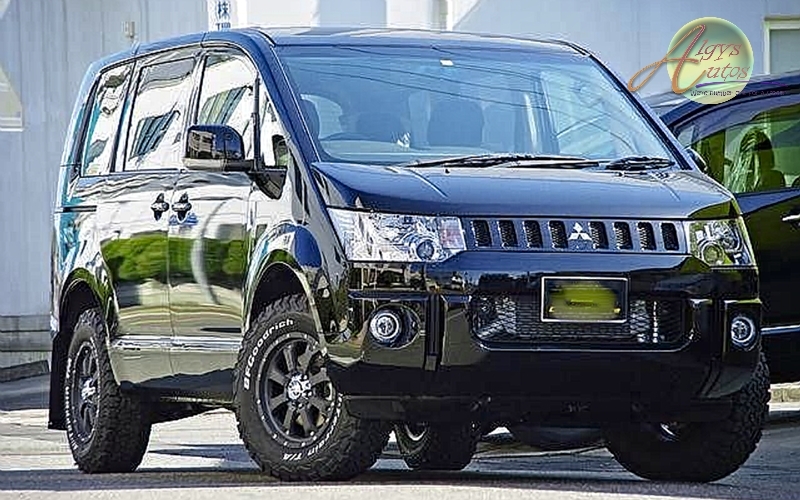 You are welcome to contact us for our current stock list of Mitsubishi Delica for sale from here. 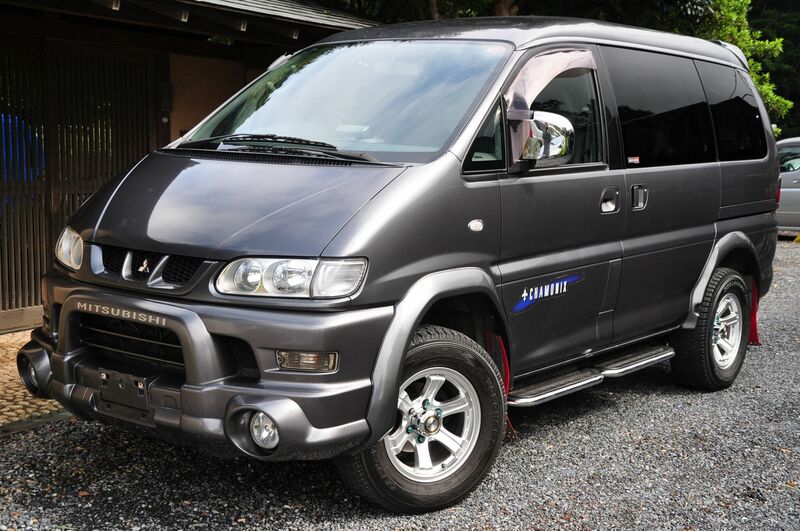 you will then get the opportunity to see full details and photographs showing the Mitsubishi Delica of your choice in the comfort of your own home to see time and again. These is NO obligation to our email service, advice or the YouTube videos. 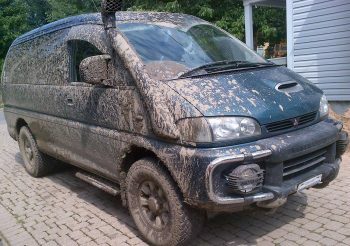 Algys Autos Ltd is by FAR the best UK Mitsubishi Delica for sale available!! How? We have garages in Japan and UK. NO middle-men. We have the FULL infrastructure in place and we are not greedy. £350 profit per car SIMPLE. Try asking another dealer how much profit he’s made on a car! 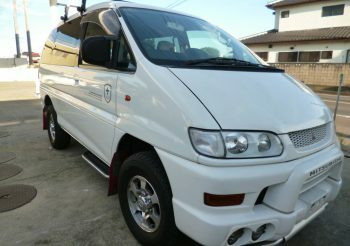 A Grade 4 Mitsubishi Delica Spacegear for sale with minor repair to the front cross member. Front bumper fog lights. Sonar assist parking sensors. Half leather seats. Leather steering wheel. Auto step. JAOS mud flaps. Privacy glass. After market tail lights. Chrome mirrors. Alloy wheels with centre caps. Optional rear spoiler. Optional rear bumper guards. Remote entry. Floor mats. ABS. Dual airbags. Climate control. Additional centre console meters. Roof rack and carrier arms inside car. 56.000 miles supplied with full 12 months MOT, UK registered and full UK Compliancy. 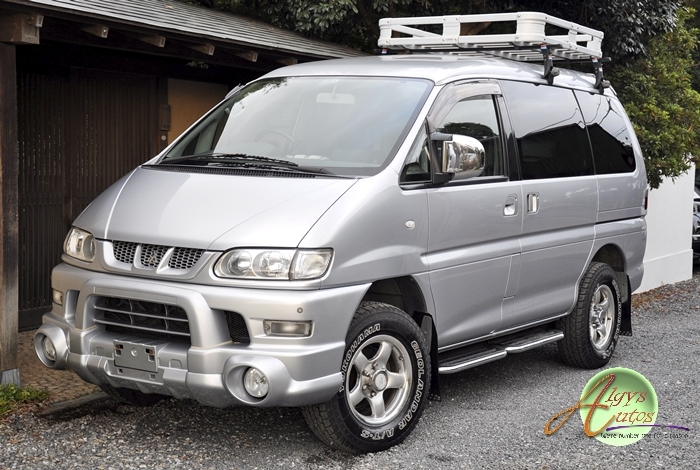 A perfect example of a Mitsubishi Delica Spacegear offered for sale by Algys Autos. Contact us for details on any Mitsubishi Delica including the Delica D5 in both petrol and from year 2013 in 2200cc Turbo Diesel. Emails from your with your enquiry: Email Here Click. Are you STILL here? Surely by now you realise that Algys Autos Ltd is THE best value in the UK. Get a grip and email for details of how to get on the Import Scheme. All models of Mitsubishi Delica for sale supplied in UK as MPV or Camping Conversion by Algys Autos Imports Ltd.